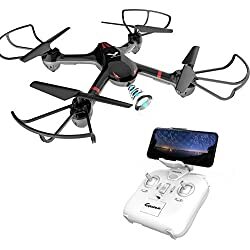 There are now several ready to fly, Low Priced Beginner WIFI Drones for sale under $200.00. 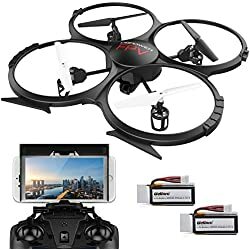 FPV flying has been the big breakthrough and game changer in Drone technology. 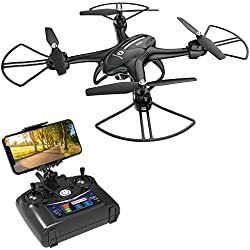 Coupled with your smart phone or monitor, a first-person perspective can be achieved, as if ” you” the pilot were actually sitting in the cockpit of the RC aircraft itself. 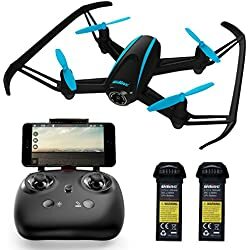 WIFI fpv Drones have become popular in the last couple of years along with other improvements like Headless Mode, Altitude Hold and Return Home features that until recently have only been found on more expensive models. 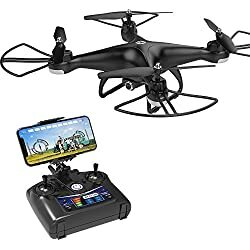 Drone Manufacturers are starting to include these features on low cost (cheap) fpv quadcopter models as well, giving everyone the chance to experience FPV flying at a reasonable price. 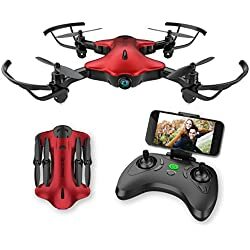 Some of these listed models include a monitor, while others require a smartphone or tablet with APP. 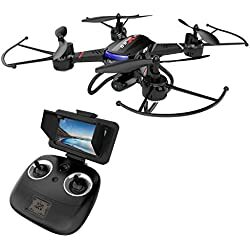 The built in monitors offer 5.8G FPV signal that ensures a smoother video downlink and do not suffer from the lag often associated with WiFi FPV. 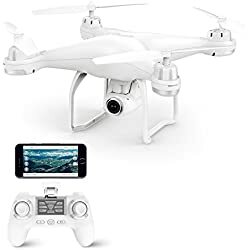 The 2.4GHz digital (WiFi FPV) signal is generally not too much of an issue, but if you see periodic lines of static in your 2.4GHz video happening very often, chances are it’s Wifi interference, especially if you are in a populated area. 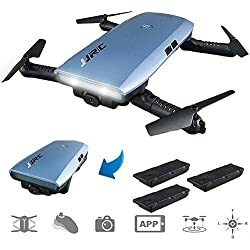 So if you’re not quite ready for the Drone Racing scene but still want to give FPV a try, these FPV drones can have you up and flying in no time. 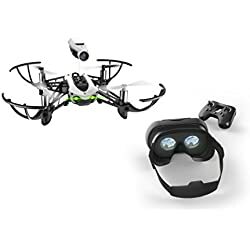 They come assembled and flight ready with an FPV camera and video transmitter installed. 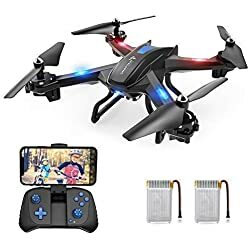 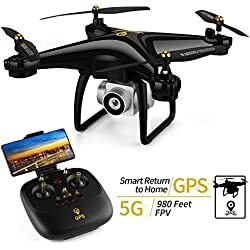 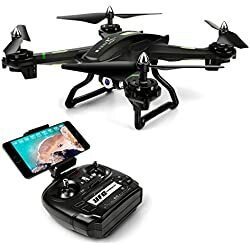 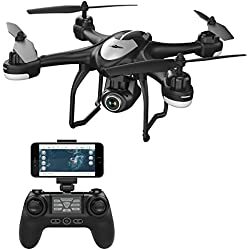 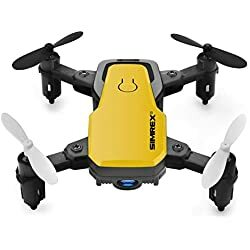 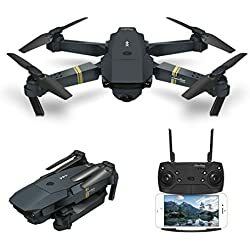 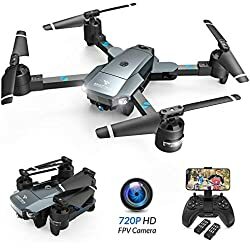 To save you time searching Amazon’s growing list of new affordable fpv drones for sale, Listed here are some of the Best WIFI Drones For Beginners that you can buy and are sure to give you hours of FPV fun. 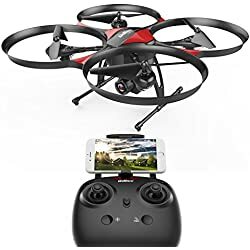 TRY ONE.. and see for yourself an awesome “birds eye view” of the world around you.